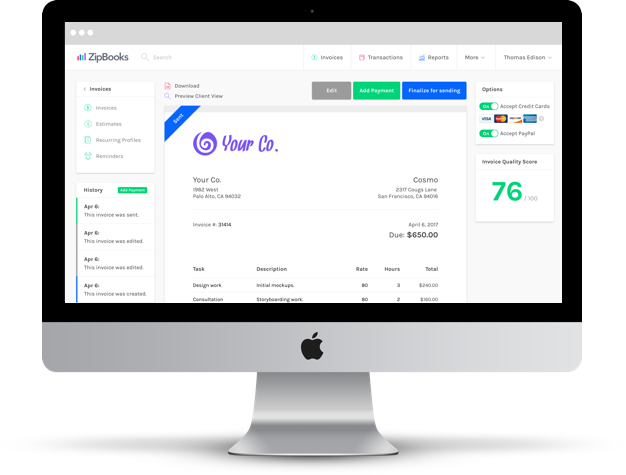 ZipBooks offers a free blank invoice template that is professional and easy to use. And beyond just the template, signing up for an account gives you cost-free access to our invoicing software, project management, time tracking, and much, much more. 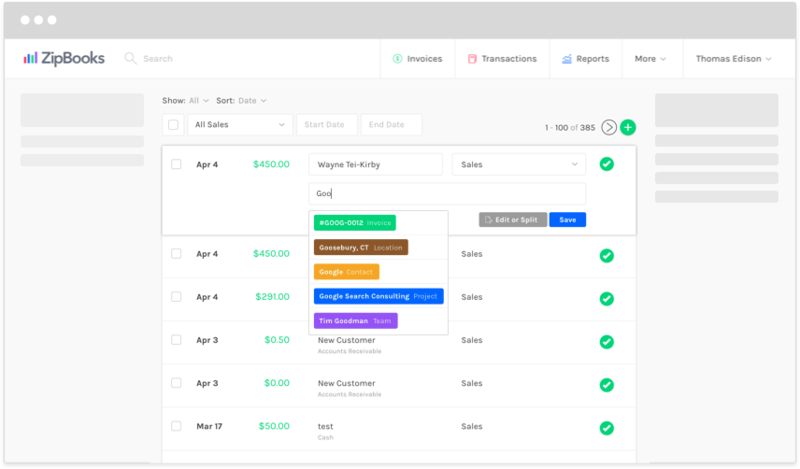 Get rid of old paper invoicing processes and the outdated, complicated software that’s been slowing your company down. Sign up for ZipBooks and send an invoice as easily as you write a check. 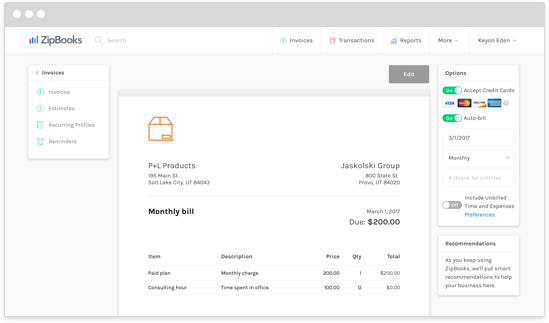 Fill out our basic invoice template and watch us clean up your invoicing process. No more billing discrepancies or mistakes. 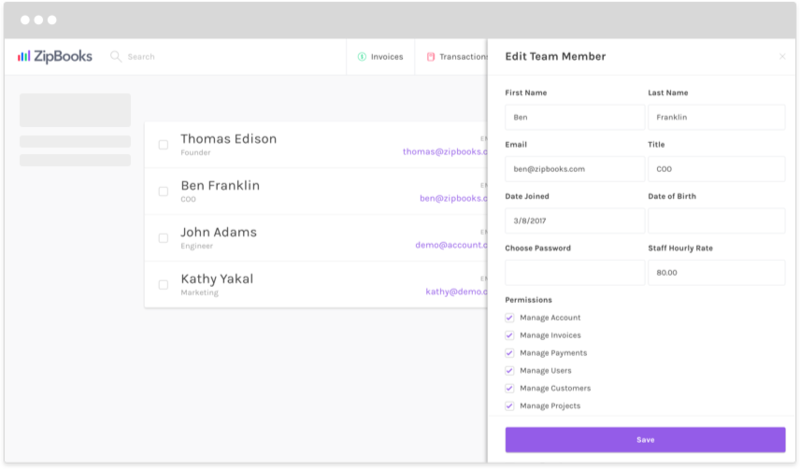 And now that you can attach projects, team members, and rate details to an invoice, you won't receive complaints asking for more detailed billing information. Our professional-looking invoices will give your clients a reason to pay now and pay fast. Your clients will be glad to read about who worked on a project, at what rate, and for how long just by looking at their invoice. When they open their email, the details will all be laid out clearly for them to approve before payment. You can be completely transparent and encourage clients to pay straight from their email with multiple payment options. 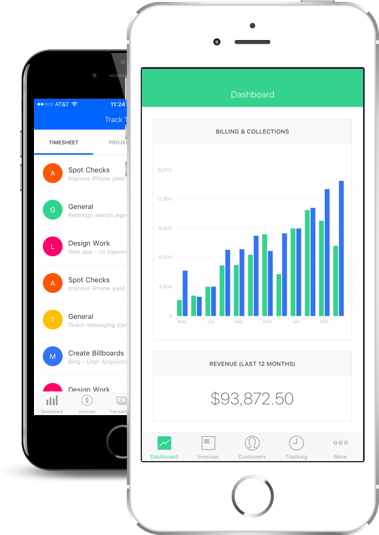 Wherever you go, your invoices can go with you. Whether you work from the office, outdoors, or from multiple locations, your invoices can go anywhere your mobile phone goes. Consider using our iPhone app to speed up the process. Using ZipBooks means more work in less clicks. And don’t worry, if you start the day on one operating system and end the day on another, you’ll be able to access your account from all of your internet-accessible devices. 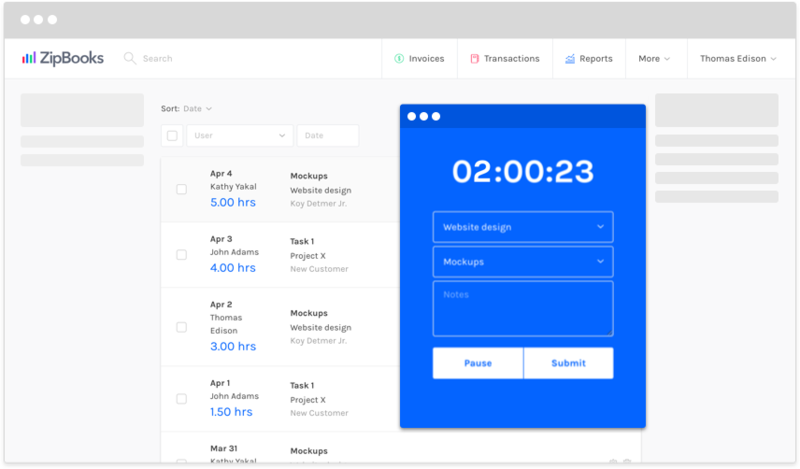 Completing invoices as you go helps cut away those unnecessary hours spent entering information at the end of the day. No need to file away the day at the office or even purchase a program to keep organized. 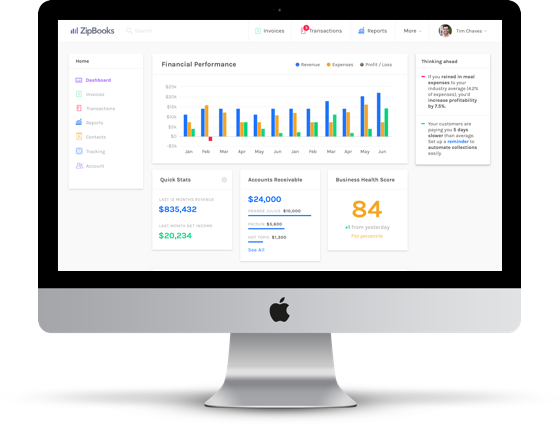 Sign up for ZipBooks with just your name and email address, and you’ll have unlimited access to our time tracker, project tracker, estimates, blank invoice templates, and more. Nothing says good business like steady cash flows. At ZipBooks, our primary goal is to get you paid fast. Opt for our payment partners to pay you on the day you invoice a client. They’ll pick up the bill when your client finally gets around to payment. And don’t think you can manage your accounts with a homemade invoicing system or cheap software. Choose a high-quality product that is efficient and competitive when you choose to enter the ZipBooks cloud. Enjoy a user-friendly interface that intuitively directs you to your priorities. Protect yourself from hard drive failure, physical theft, and loss when you transfer your data to ZipBooks. And with 256-bit SSL encryption, you're protected in the cloud. 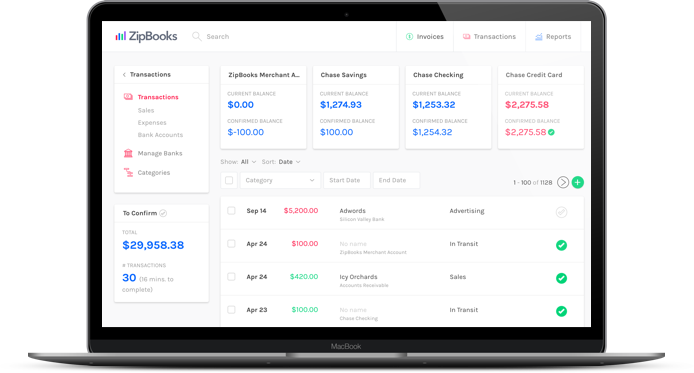 When business owners sign up for ZipBooks, they experience payment faster than ever before. Get organized, get payment options, get anywhere-access to your files, and get paid. We're dedicated to saving you money. Sign up for ZipBooks with just your name and email. Enjoy unlimited invoicing at no cost!